This is a season full of excitement, yes!! And we definitely don’t want to discount that, but instead help you gear up for the not-so-fun parts of being a bridesmaid, of which there are few. But… if you let them, the financial sacrifices, loads of time, and effort that go into this season can make you feel all stressed and emotional. And no one likes a bridesmaid-zilla, trust us. 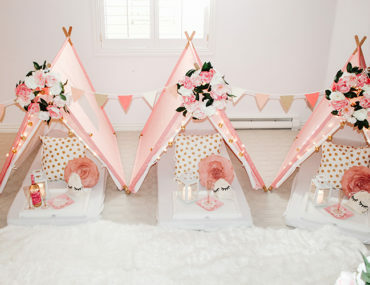 Instead, if you want to maximize the fun and minimize the stress of your bridesmaid duties, listen up! These 5 tips will help you plan and prepare for being a bridesmaid, and a savvy, happy one at that! 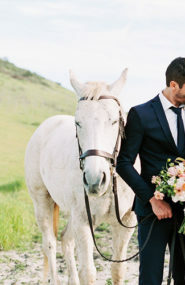 Think of it as Bridesmaid 101—welcome to class! 1. Your Dress – bridesmaid dresses commonly range from $100 to $300. We get it, that is a wide range, so there’s nothing wrong with asking the bride what she expects the dresses to cost based on the brands she is looking at and budget accordingly. 2. Day of Hair & Makeup – It is OK to deny the professionals and do your own! Just, decide ahead of time and factor in if you will be spending money on lashes, extensions, a spray tan, new makeup, etc. 3. Bridal Shower Attendance – This means both a gift and/or travel expenses if you will be flying to and fro. Also, how many bridal showers will you be attending? 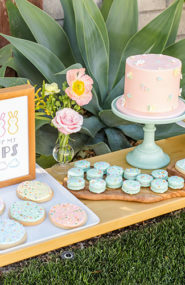 Oftentimes, there may be a family bridal shower in addition to a lingerie shower, in which case you should budget for two separate gifts. 4. 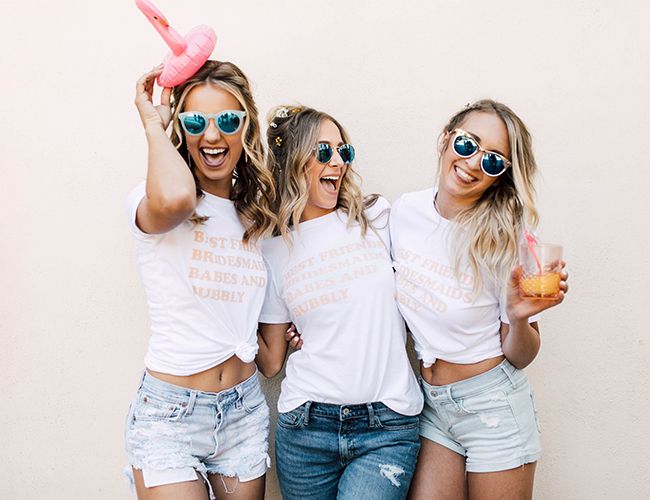 The Bachelorette Party – This is where most of your budget should be allocated. 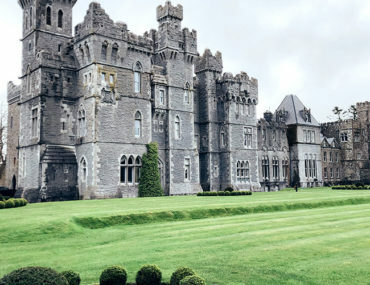 Think plane flights, lodging, activities, food. Basically budget what you would for any other vacation and ask ahead of time if everyone will be covering some or all of the bride’s costs. 5. A wedding present – By this point, you have spent quite a bit of $$$ on wedding events and gifts, so don’t feel like you need to go overboard on a wedding gift. Get creative! 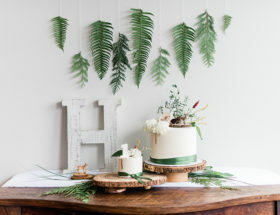 You can go off registry with something homemade and sentimental, give cash for the honeymoon, or contribute small items from the registry that are left over and likely not to be purchased, but you know they still want. As a bridesmaid, you are one of the bride’s right hand ladies, literally. This means, you’re invited to all the showers, engagement parties, sometimes even the dress appointments, and expected at the bachelorette party, rehearsal dinner, and any other wedding weekend event. When you find your entire calendar booking up with wedding festivities – that often require gifts or other funds – don’t panic. You don’t have to say “yes” to everything. 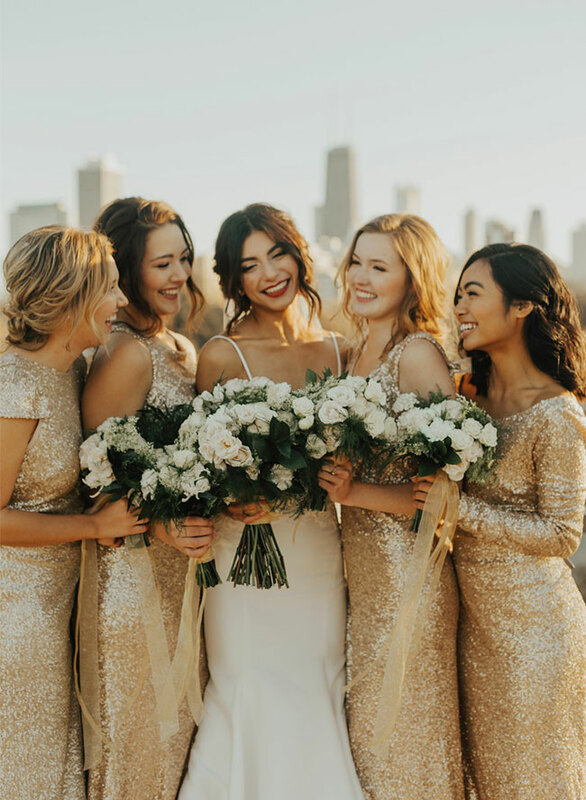 As we discussed above, once you have budgeted your bridesmaid duties, you can use that to help decide what you definitely want to say yes to, and what you are OK with missing. This could mean only attending one shower, doing your own hair and makeup, or flying in a day late to the bachelorette party if it means snagging a cheaper flight and taking less time off. You have already said yes to the big thing (being a bridesmaid) so don’t sweat the small stuff. Take the stress off of you and the bride by purchasing your dress as soon as it is picked out. Some bridesmaid dress companies make dresses to order, and thus take 4-6 weeks—or more—to ship. And bridal sizing can be a bit wonky, so you don’t want it to show up too close to the date, and then not have enough time to have it altered as well (which we have always had to do). Our advice? As soon as you know what brand your bride has picked, try and find a retail store where you can try it on to ensure you are getting the right size. For instance, Nordstrom carries a lot of popular dress brands like Show Me Your Mumu, and stores like David’s Bridal will have countless brands and dresses with similar fit to a lot of online retailers. Once you know your size. you may even be able to find it on a resale app like Poshmark, where you can get it cheaper and potentially already altered!! Keep in mind you can also try and sell your dress on a resale site afterwards, or try and wear it again—it is possible! 1. Steam your dress: wrinkles be gone! There will be a lot of photos taken on this day and no one wants to be the one with a wrinkled gown. Steam your dress the night before, or be a hero and take the steamer with you to wherever all the ladies are getting ready so everyone can have a chance to prep their frock while getting ready. 2. Pack the necessities. Speaking of your dress, do yourself a favor and get a garment bag to easily transport it. Remember what we said about re-selling? Keeping it safe in a garment bag is key in ensuring it doesn’t get ruined (we’ve had one too many torn hems from rocks, holes from heels, and the inevitable wine stain). But it’s not just the dress you have to remember. We love this Birdling bag, because we can slip our dress in the garment bag portion, pop our heels in the outside pouch, and throw our makeup bag, clutch, and change of clothes (all things you need to remember to pack!) in the bag portion once it is all zipped up. Seriously, this bag is a game changer. 3. Have an emergency kit: Yes, there is one more thing, er… a few, you need to pack. Bridesmaid duties entail being prepared for both yourself and whatever the bride may need as well. You can snag pre-made emergency kits, but you can also grab a ziploc baggie and make your own. Here’s what you’ll need: mints, stain-remover (remember the aforementioned wine stains? ), blister band-aids, bobbi pins, and tape are essential! Blotting paper, eye drops, tampons, and eyelash glue are also sure to come in handy. 4. Hydrate!! You will likely be consuming copious amounts of alcohol…. just a well-educated guess, on top of copious amounts of caffeine, so unless you want to wake up with a bad headache, or look drained in photos, drinking a lot (and we mean a lot) of water is key. This is probably a good time to remind you to pack a water bottle. Where weddings are involved a “Thank You” goes a long way. When your BFF, or her fiancé, or her mom goes above and beyond – not just for you, but in general – whether it’s a gift, a schedule change, throwing a shower, covering the cost of hair & makeup – whatever, don’t be shy with giving thanks. When trying to make everyone happy (and often spending a lot of $$$ to do so), brides and their families can easily feel overwhelmed. Say thank you for breakfast, for day-of presents, for cards, for planning everything, because trust us, it is a lot of work! But we know being a bridesmaid doesn’t come without its fare share of sacrifice. You too will throw showers, or give gifts or speeches, or stop everything to attend one wedding event after another. And when your bride and her friends and family thank you—amazing, relish it! But beware, if you don’t feel as appreciated or recognized as you think you should (and you probably won’t) it isn’t about you. Sure, it would be wonderful if this whole wedding season went without hurting anyone’s feelings or making anyone feel left out, but emotions are high and the bride and groom are thinking about a million things leading up to the big day. Remember that, do what you can to help, and don’t get your knickers in a knot if you and your feelings aren’t at the top of the priority list. In saying that, A WORD TO THE BRIDES: a little recognition for your bridesmaids goes a long way! Yes, they love and care about you, and would do anything for you, but they too want to feel like you care about having them there and that you appreciate the sacrifices they have made of time and finances. Ok, Ok, now that we’ve covered the not-so-fun nitty gritty of your bridesmaid duties, remember, being a bridesmaid is SO. MUCH. FUN. and you will never regret being a part of this super significant and wonderful day in your friend’s life! Do you have any questions about being a bridesmaid? We would love to hear from you in the comments!